Non Profit Music (Record Label); Ara Malikian. Jesús Amigo. 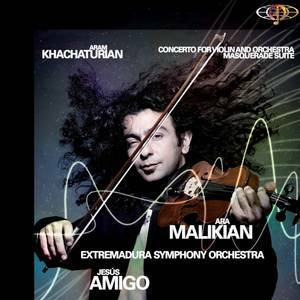 Extremadura Symphony Orchestra (Artist); Extremadura Symphony Orchestra (Release Artist); Ara Malikian. Jesús Amigo. Extremadura Symphony Orchestra (Release Artist); Jesús Amigo (Release Artist). Extremadura Symphony Orchestra (Performer); Ara Malikian (Performer).